Leading up to Christmas the season can be frantic, exams for students, Christmas concerts at your children's school and of course Christmas shopping etc. Yet, it is still important to try to remember the Jesus Prayer throughout your day and to dedicate some time in the morning and/or evening to pray the Jesus Prayer formally. You may have noticed that it is not easy to concentrate on the prayer. Each time you begin to pray your mind is filled with thoughts and distractions, this is normal, do not despair. You may have also noticed that the thoughts disappear when you stop praying. There is a reason for this. 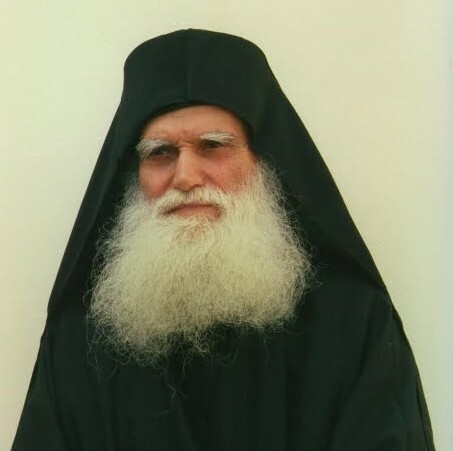 Elder Sophronios, from the monastery of St John the Forerunner, in Essex, England, a man of our times, reminds us that when we pray the Jesus Prayer, the name of the Lord, awakens all that is concealed deep inside us. The Jesus Prayer is like a torch that shines into our deeper self and reveals our passions and weaknesses. So what do we do in this situation? We try to say the Jesus Prayer even more earnestly and armed with this new self knowledge we cultivate a deeper repentance in our soul. This self knowledge is an important step forward in your effort to learn and grow the Jesus Prayer. One elder said to his disciple: ‘Say the Jesus Prayer’. 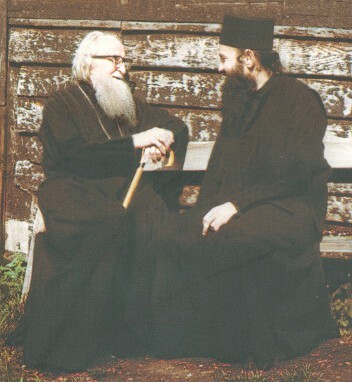 ‘Elder, I say the prayer, “Lord Jesus Christ have mercy on me”, but I don’t understand anything, nothing happens’. ‘You might not understand or notice anything, but the devil does. The prayer burns him and he flees. ‘Yes elder, of course I want to experience this’. ‘Very well, then, I’ll pray to God to show you a sign in order for you to understand the power of the Jesus Prayer’. The Elder prayed and fasted for three-days. After these three days he said to his disciple: ‘My child, take this basket and fill it with water’. ‘My child, didn’t you tell me that you wanted to experience the power of the Jesus Prayer?’.‘Forgive me, elder, but I am not out of my mind. How am I supposed to fill a basket with water?’. ‘Then do as your told, but under one condition; you must keep saying the Jesus Prayer all the time. Don’t stop saying the prayer’. And off he went. ‘Lord Jesus Christ have mercy on me, Lord Jesus Christ have mercy on me’, he kept praying. When he reached the fountain, he put the basket under it. The water began to fill the basket without leaking. And he continued to say the Jesus Prayer without ceasing. It goes without saying that, at the same time the elder was praying in his cell in order that God would help the disciple realise that he was not wasting his time with the Jesus Prayer. That was it! The basket emptied and all the water poured out all over the place! As soon as he stopped praying and began to idle talk, the basket emptied. So, he went to his elder with an empty basket. ‘What happened, my child?’ asked his elder. The disciple told him the whole story. What an amazing account! May this story encourage us also in our endeavour to pray the Jesus Prayer this Christmas fast and assure us that our Lord Jesus Christ takes notice of our efforts. Today is the fifth day of the Christmas fast and I would like to touch base with you regarding the Jesus Prayer. I know leading up to Christmas the season can be frantic, exams for students, Christmas concerts at your children's school and of course Christmas shopping etc. Yet, it is still important to try to remember the Jesus Prayer throughout your day and to dedicate some time in the morning and/or evening to pray the Jesus Prayer formally. ‘Forgive me, elder, but I am not out of my mind. How am I supposed to fill a basket with water?’. ‘My child, didn’t you tell me that you wanted to experience the power of the Jesus Prayer?’.